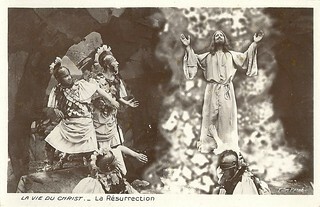 After the Second World War and the end of the fascist era, new publishing firms started to produce postcards in Italy. One of these firms was Bromofoto in Milano (Milan). 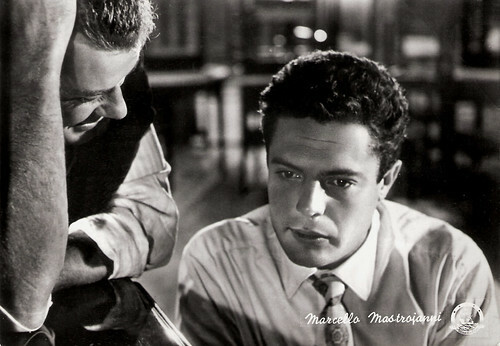 Bromofoto started with topographic subjects, but soon discovered the blossoming Italian cinema. They produced a postcard series of the sensational box office hit Riso amaro/Bitter Rice (1949) with Silvana Mangano in hot pants. 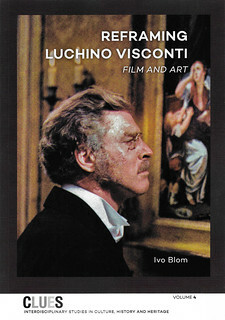 Throughout the 1950s, the Milanese publisher continued to make postcards with stills of film scenes and international star portraits, all in glamorous black and white. 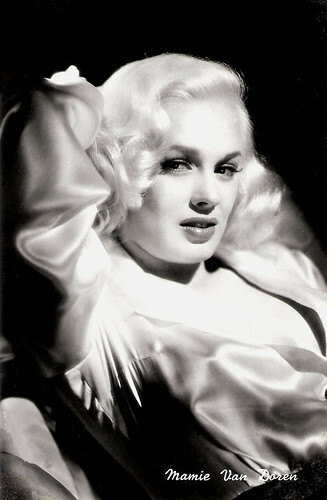 Mamie van Doren. Italian postcard by Bromofoto, Milano (Milan). Sent by mail in the Netherlands in 1958. 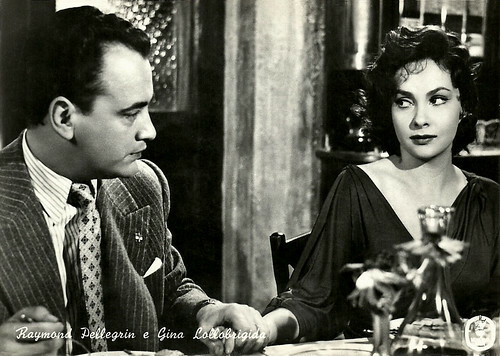 Raymond Pellegrin and Gina Lollobrigida. Italian postcard by Bromofoto, Milano. Photo: Minerva Film. Publicity still for La romana/ Woman of Rome (Luigi Zampa, 1954). Nadia Gray. Italian postcard by Bromofoto, Milano, no. 135. Photo: Dear Film. Publicity still for Puccini (Carmine Gallone, 1953). Walter Chiari. Italian postcard by Bromofoto, Milano, no. 136. Shelley Winters. Italian postcard by Bromofoto, Milano, no. 316. Photo: Universal International. 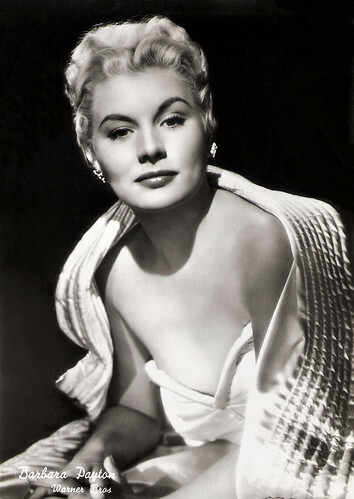 Barbara Payton. Italian postcard by Bromofoto, Milano, no. 348. 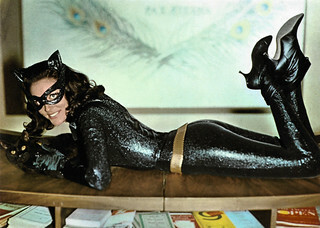 Photo: Warner Bros.
Marcello Mastroianni. Italian postcard by Bromofoto, Milano, no. 460. Photo: Atlantis Film. Publicity still for Febbre di vivere/Eager to Live (Claudio Gora, 1953). Peggy Cummins. Italian postcard by Bromofoto, Milano, no. 563. Photo: publicity still for Gun Crazy (Joseph H. Lewis, 1949). Mara Lane. Italian postcard by Bromofoto, Milano, no. 968. Photo: ENIC. 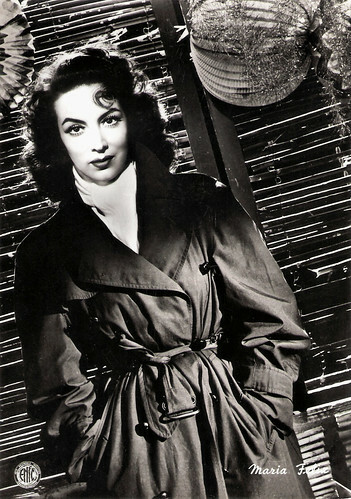 Maria Felix. Italian postcard by Bromofoto, Milano, no. 1068. Photo: ENIC. 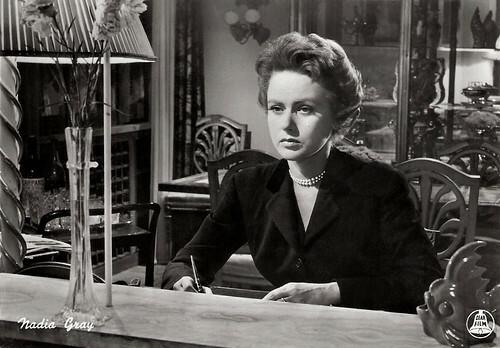 Publicity still for Les héros sont fatigués/Heroes and Sinners (Yves Ciampi, 1955). 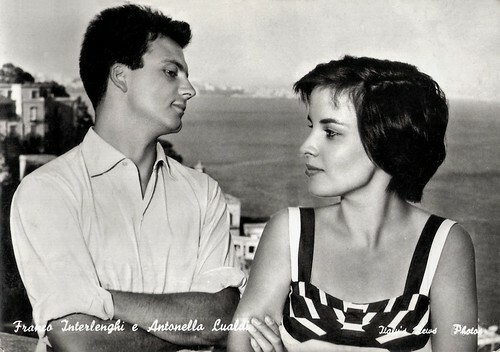 Franco Interlenghi and Antonella Lualdi. Italian postcard by Bromofoto, Milano, no. 1234. Photo: Italy's News Photos. Anita Ekberg. Italian postcard by Bromofoto, Milano., no. 1603. Photo: Dear Film. 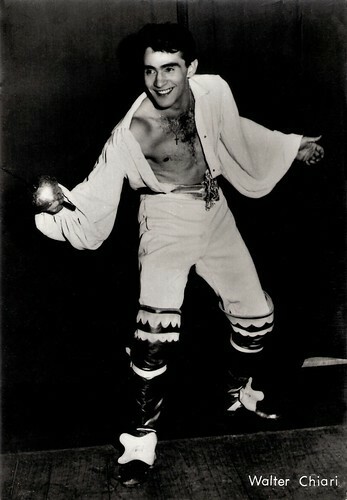 Nino Manfredi. Italian postcard by Bromofoto, Milano, no. 1710. Photo: Euro International Films. 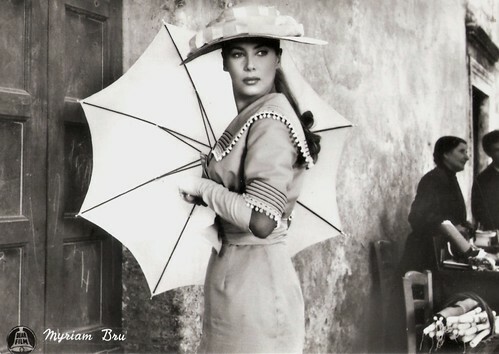 Publicity still for Carmela è una bambola/Carmela is a doll (Gianni Puccini, 1958). 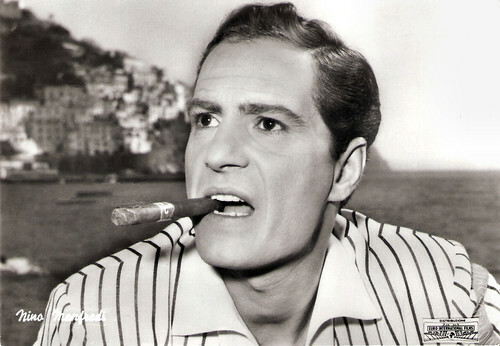 Mario Girotti. Italian postcard by Bromofoto, Milano, no. 1807. Photo: Titanus. Publicity still for Lazarella (Carlo Ludovico Bragaglia, 1957). Myriam Bru. Italian postcard by Bromofoto, Milano, no. 1826. Photo: Dear Film. 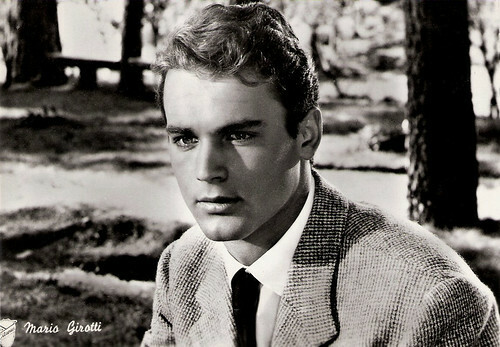 Publicity still for Il padrone sono me/The master is me (Franco Brusati, 1955). Hello, Buddy! It has been awhile--I wanted you to know how much I enjoyed your post, and the beautiful black and white postcards of those lovely movie stars. I like that you do so much research--in some ways, I believe you are saving the memory of these wonderful folks and the striking photography in these postcards.